I thought that these dolls may be Fisher Price Loving Family, but I don't believe they are. They feature flexible arms and legs that are covered by what looks like the fabric of a cloth Band-Aid? 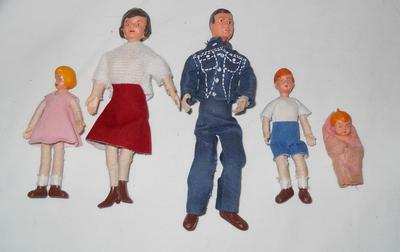 I would appreciate any help in identifying these dolls. Thank you!